Barter Books : Adams, George (Snr.) 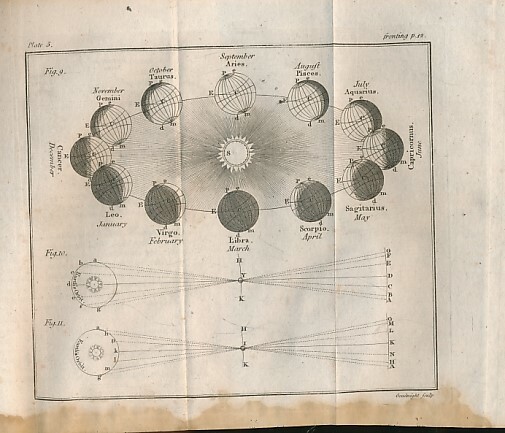 : A Treatise Describing the Construction and Use of New Celestial and Terrestrial Globes; ... Phenomena of the Earth and Heaven ... Astronomical and Geographical Problems. 14 b/w plates, some folding. 210 x 130 mm (8 x 5 inches) - xxiv, 242pp. G : in Good condition without dust jacket. Cover rubbed, scuffed and stained. Heavy marginal staining in early pages. Some foxing. Marginal staining to some plates.